Amazing artist Jerry Vanderstelt is getting closer to releasing to collectors another one of his stellar art prints for us to add to our collections. 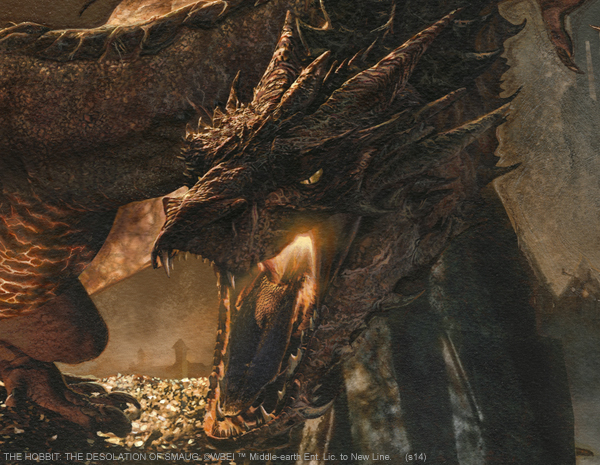 Tonight, we got a preview of Smaug from Jerry’s upcoming print for The Hobbit: The Desolation of Smaug. This little preview is fantastic! It looks like Smaug just walked off the big screen with the mind boggling detail he has put into Smaug. As soon as Jerry has this up for sale we will let you know so you can add this to your collection. Enjoy this preview of Smaug!